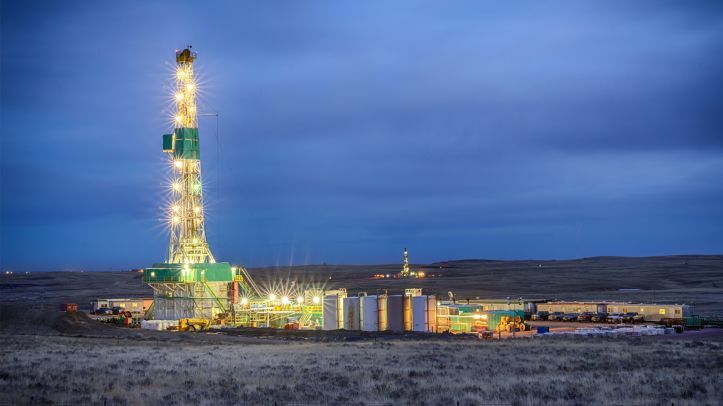 The Ohio Oil and Gas Association commends members from the Ohio House of Representatives and the Ohio Senate for passing House Bill 225 and House Bill 430, moving the bills on to await final approval from the Governor. House Bill 225 requires the Ohio Department of Natural Resources to spend 30% of the Oil and Gas Well Fund on plugging orphan wells and requires annual reporting from the ODNR to the Ohio General Assembly. With support from environmental organizations, those in the oil and gas industry have long advocated for a more robust oil and gas plugging program even as Ohio operates one of the best in the nation. This legislation will clean up legacy issues dating back to the early 1900s and ensures that revenue coming from the severance tax and fees are used to support the oil and gas regulatory program. H.B. 225 passed both the House and Senate Floors unanimously. House Bill 430 reaffirms the traditional sales tax standing that oil and gas operators have received since 1960. Every business needs clear and consistent system of taxation, this legislation will provide Ohio’s oil and gas industry tax certainty. This bill simply reaffirms what has been conducted for decades and does not expand the scope of exemptions, but rather clarifies it. H.B. 430 passed the House by a vote of 85-12 and the Senate 32-1. It is also important to note that the Ohio Department of Taxation initially testified in opposition to H.B. 430., later withdrawing its opposition the day the Senate passed the bill out of the Senate Ways and Means Committee. The past few months have been full of twists and turns, uncertainty and political obstacles. Pending approval from Governor Kasich, signing these pieces of legislation into law will benefit Ohio’s oil and gas industry by bolstering the state’s orphan well plugging program and clarifying oil and gas sales tax treatment. 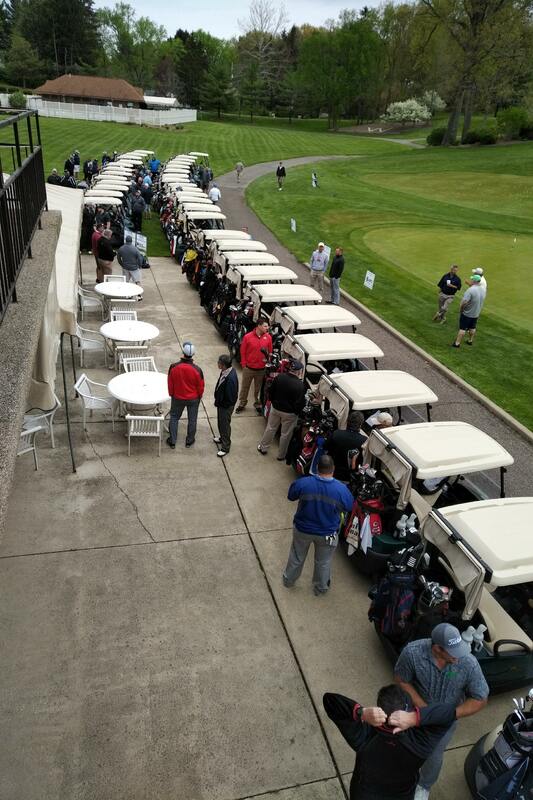 The Ohio Oil and Gas Association hosted a successful Region 1 & 2 Spring Golf Outing at the Wooster Country Club on May 11. Groups of foursomes played in a shamble format braving brisk temperatures. 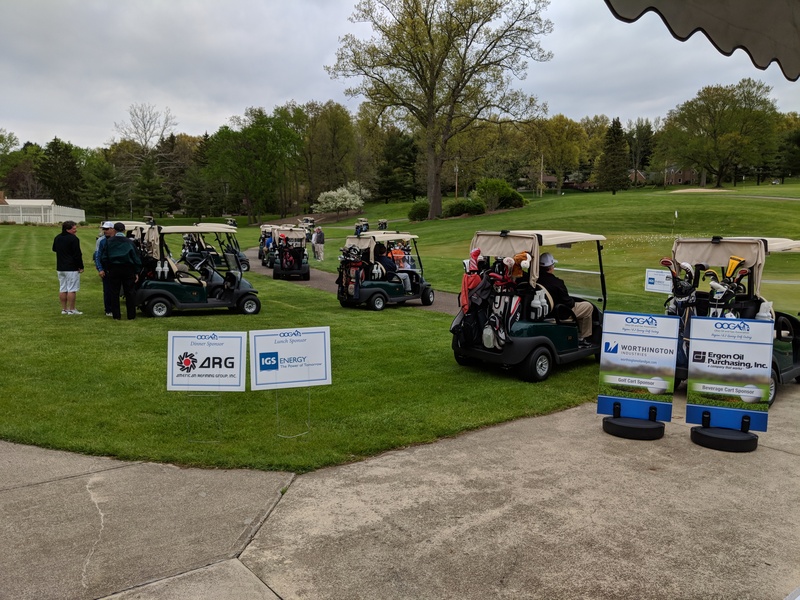 The Association would like to give a special thank you to the event’s sponsors: American Refining Group dinner sponsor, Ergon Oil Purchasing, Inc. beverage cart sponsor, IGS Energy lunch sponsor, Worthington Industries golf cart sponsor. The golf team of Matt Dye, Justin Cauldwell, Jeremy Cauldwell and Guss Zoppi won the tournament with a score of four under par. The closest to the pin on hole 14 was Joe Herman and hole 8 was Mike Wehner. In addition there was a raffle and multiple door prizes donations from member companies. The Association would like to thank everyone who participated in this event, and the Sound Energy team Tyler Levengood, Bruce Levengood and Carrie Ellenbaugh for helping to put on a great event and overseeing the logistics. While this study is indeed a first for Ohio, this is just one of more than two dozen studies showing that fracking is not a major threat to groundwater, and as EID has previously covered, the report’s now-confirmed topline conclusion is all-the-more noteworthy considering it was partially funded and orchestrated by anti-fracking groups. 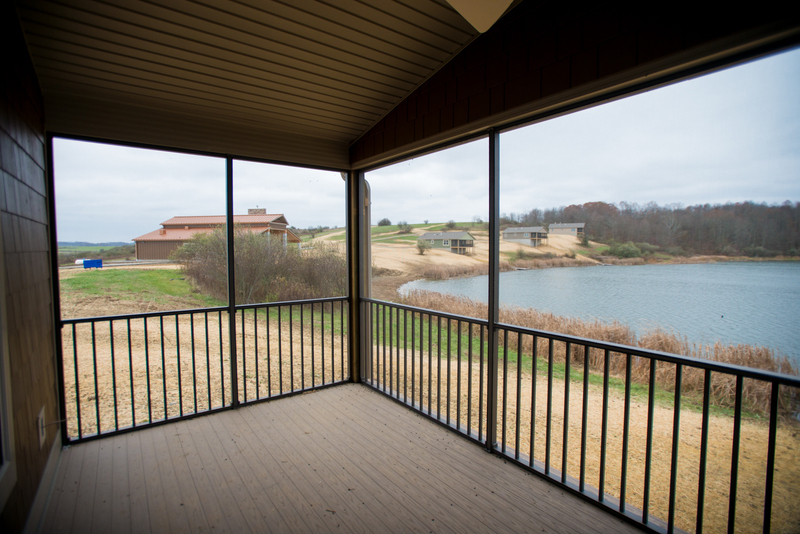 In fact, the study received over 18 percent of its funding from the anti-fracking Deer Creek Foundation. In other words, it should come as no surprise that the hypothesis was not supported by the facts of the data, and we applaud UC for acknowledging that point as well. The study notes that just 115 drilling permits had been issued in Ohio when the study began in January 2012, and that 1,600 permits had been issued by the study’s conclusion in February 2015. 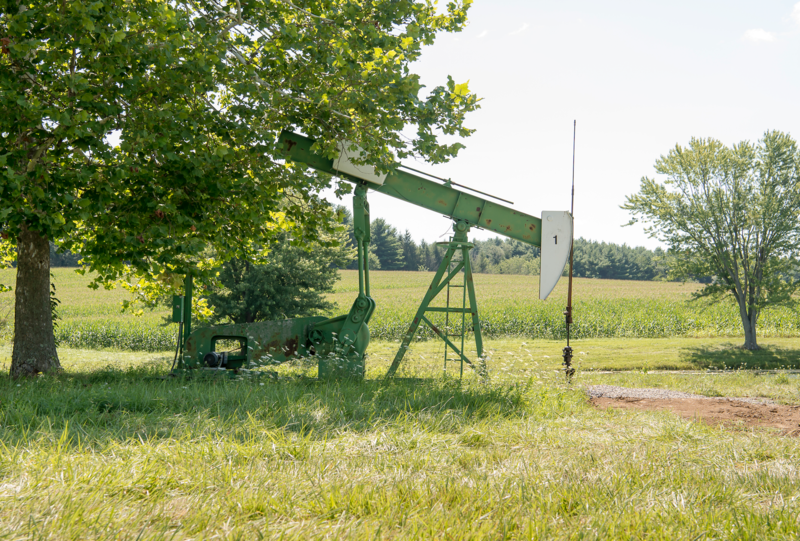 Most of the 180 total samples were collected in Carroll County, which has emerged as the most-drilled Ohio county, seeing shale well counts increase from just three in late 2011 to 354 in 2015, according to the study’s master thesis. EID applauds the UC research team for not only (finally) getting this study published, but not deviating from the original conclusions reported more than two years ago. We now call for those who have claimed fracking is “poisoning” Ohio groundwater (we’re looking at you, Dennis Kucinich) to acknowledge scientific evidence and stop fear-mongering that is driven more by politics than the facts. Registration for SHALE INSIGHTTM 2018 is now open! Celebrating its eighth year, the SHALE INSIGHTTM 2018 Conference and Exhibit is returning to the epicenter of the Marcellus and Utica Shale plays October 23-25 at the David L. Lawrence Convention Center in Pittsburgh. 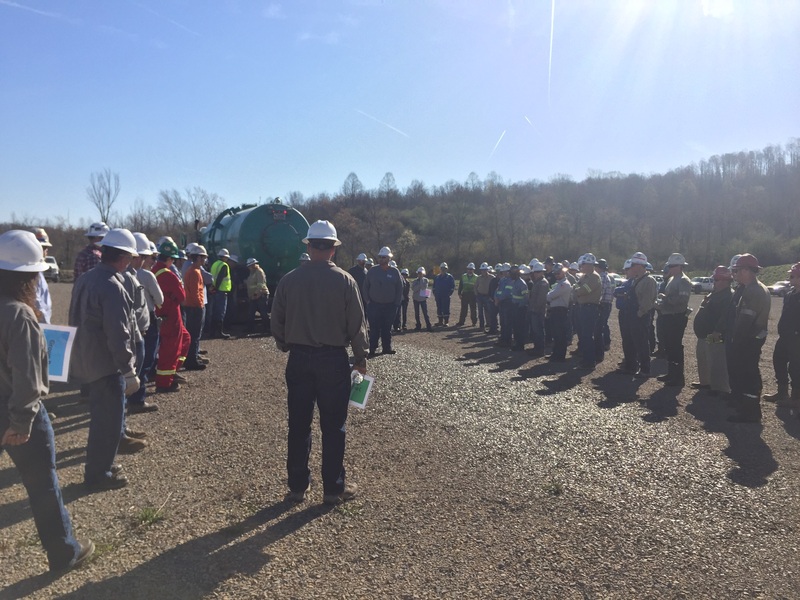 This year’s conference continues the partnership between the Marcellus Shale Coalition (MSC), the Ohio Oil and Gas Association (OOGA) and the West Virginia Oil and Natural Gas Association (WVONGA). “The SHALE INSIGHTTM 2018 Conference and Exhibit continues to be the nation’s leading industry forum for public-private dialogue on shale development. Our successful partnership with key regional trade groups in three of the top energy - producing states in the country is proof positive that SHALE INSIGHTTM 2018 will provide industry leading information and one-of-a kind experiences for conference attendees and exhibitors. ” said MSC president David Spigelmyer. New for 2018, SHALE INSIGHT™ will integrate all exhibit hall activities with the general session main stage and breakout session presentations to create one dynamic show floor and networking experience! To generate even greater value for participants, we are also offering best-in-industry conference registration prices. “This event is a tremendous opportunity to showcase our region and the abundant energy opportunities from our industry. SHALE INSIGHTTM creates an important forum to exchange ideas and heighten the dialogue around common sense energy policies. 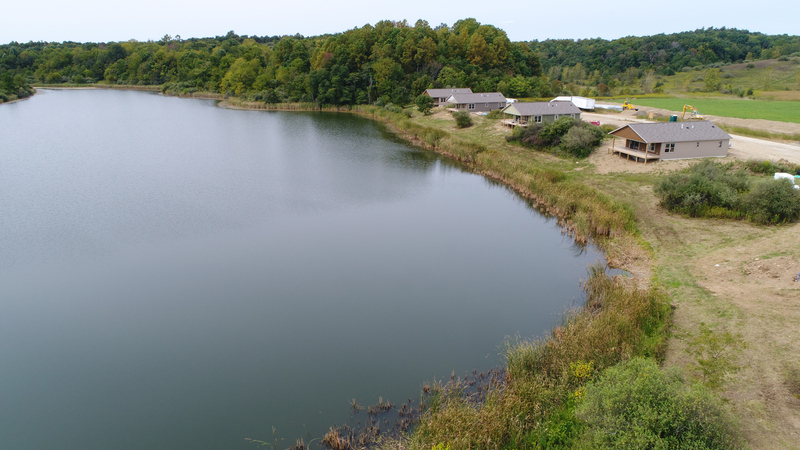 We're glad to be part of the continued success and work with our partners at the MSC and WVONGA.” said Matthew Hammond, Executive Vice President, Ohio Oil and Gas Association. SHALE INSIGHTTM 2018 guarantees a front row seat for the most important discussion on shale development, featuring some of the most prominent industry and government leaders. Attendees will network with the most influential industry executives and innovative thought leaders throughout the three days of technical and public affairs insight sessions, major keynote addresses, and dynamic combined conference and exhibit layout featuring all the major shale players. The conference will also feature daily educational sessions that explore various technical and public affairs-related topics. “This combined effort absolutely poses a unique networking opportunity for attendees. 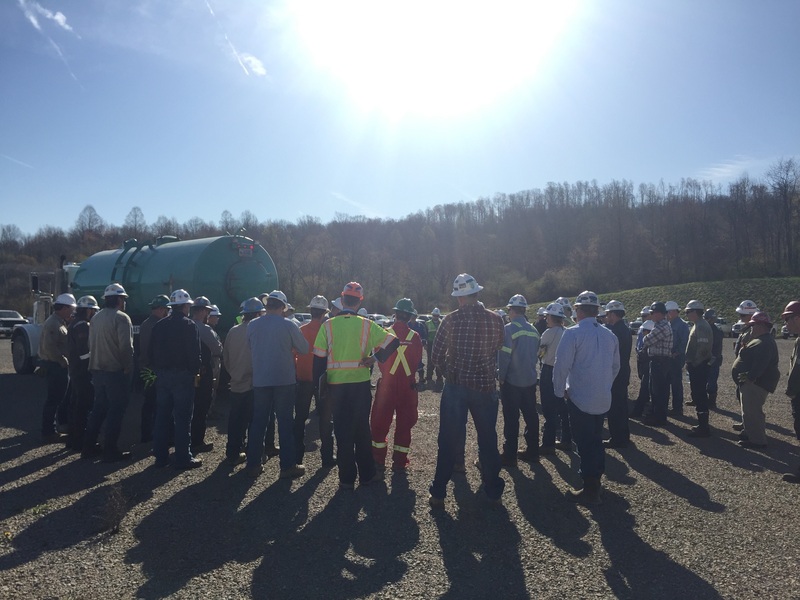 A number of energy producers as well as suppliers and vendors across Appalachia are active in more than one state,” added WVONGA executive director Anne Blankenship. Become a sponsor, host an exhibit, or register for the conference today by visiting www.ShaleInsight.com and capitalize on this unique opportunity to gain unprecedented industry access. We look forward to seeing you in Pittsburgh. Register now to take advantage of the early rates! It’s one thing to not have home field advantage and it’s another to be the underdog, but to be in the position to be both at the same time, is a real true challenge. I imagine that is how the three volunteers from Shale Crescent USA felt as they entered the capacity ballroom during the World Petrochemical conference in Houston recently. The challenge that faced Jerry James, Greg Kozera, and Nathan Lord is that history and conventional wisdom and the event location were all working against their messages and effort in general. This is the second year a team from Shale Crescent USA has made the trip to the conference. The first year, the theme was “we don’t know, what we don’t know.” So they sponsored the opening night reception, to try and make a big splash, they worked the room and made the case, to anyone that would listen, that if you were going to build or expand a petrochemical facility, you should look at the mid-Ohio valley. They came back home with one lead. For the conference this year, they stepped up their game big time and partnered with IHS Markit and put together a study answering a few key questions for the audience at the conference. 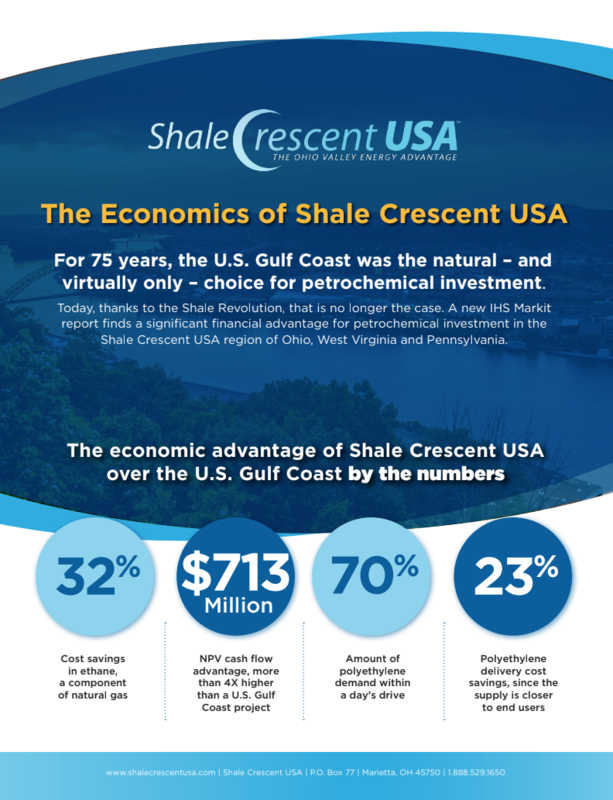 The idea was simple, how to best convey the message, with good data, that there is a greater return on investment, lower costs, shorter transportation times and closer markets in the Shale Crescent USA that along the Gulf Coast. So armed with an over 100 page study, and the knowledge that the Shale Crescent USA is the most profitable place to build a new petrochemical facility, the crew stormed the ballroom this year primed and ready to answer those questions and from diverse group of international attendees. Their research proved to be a difference maker and they had everyone’s attention. This year, they came home with several leads and left the Gulf Coast knowing momentum has a new address. Shale Crescent USA. o A petrochemical plant located in the Shale Crescent USA would generate a four-times-higher net present value cash flow than a comparable investment in the Gulf Coast. o Over a 20 year period, a petrochemical plant located in the Shale Crescent USA has a pre-tax cash flow of $11.5 billion. This is $3.6 billion greater than the Gulf Coast. 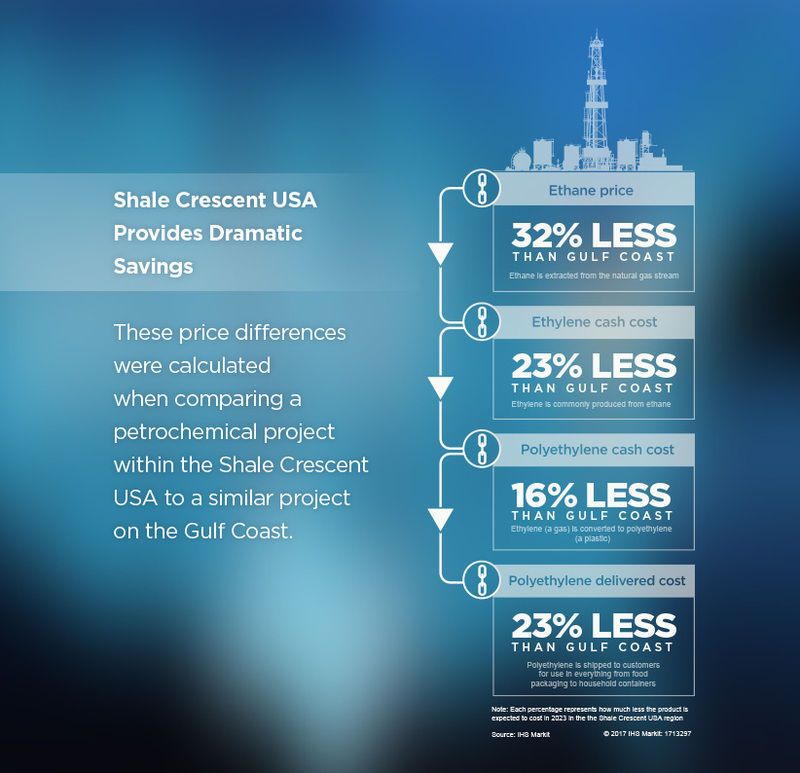 o Ethane price: 32 percent less in the shale crescent; ethane is extracted from the natural gas stream. o Polyethylene delivered cost: 23 percent less in the shale crescent; polyethylene is shipped to customers for use in a variety of products including food packaging and household containers. For more information and the executive summary of the report please visit ShaleCrescentUSA.com. The Ohio Oil and Gas Association board of trustees has elected Matthew Hammond as executive vice president. Hammond will lead OOGA’s advocacy efforts for the oil and gas industry and act as the chief executive officer of the Association and its operations. Hammond has an extensive background in government affairs, working on energy policy. Prior to joining OOGA as senior vice president in January, Hammond served as principal for Vorys Advisors LLC where he worked closely with members of the state legislature, the governor’s office and state agencies, primarily focused in advising oil and gas clients. Previously Hammond was senior director of government affairs for Chesapeake Energy Corporation, where he served as a member of the OOGA’s Executive Committee and Board of Trustees. The Ohio Oil and Gas Association (OOGA) proudly welcomed its latest distinguished class of legacy members into Ohio Oil and Gas Hall of Fame during the Annual Winter Meeting held at the Hilton Columbus at Easton. 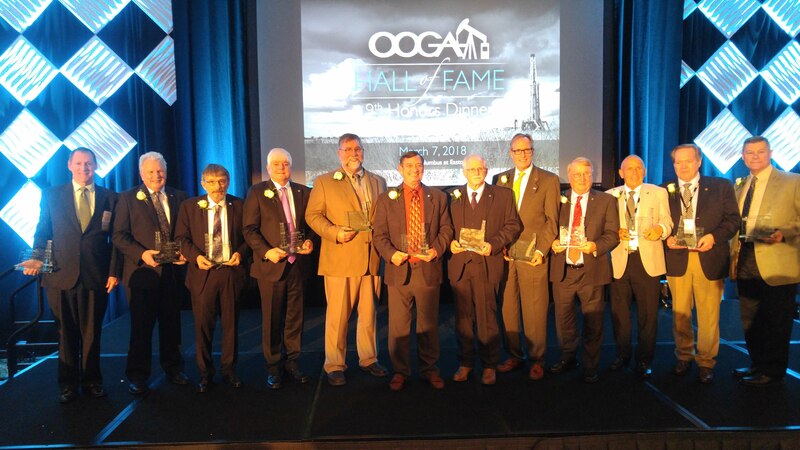 The OOGA Hall of Fame honors those who have made their own distinct contributions to the Ohio oil and gas industry and was celebrated at the induction ceremony held on March 7, with more than 200 people in attendance. 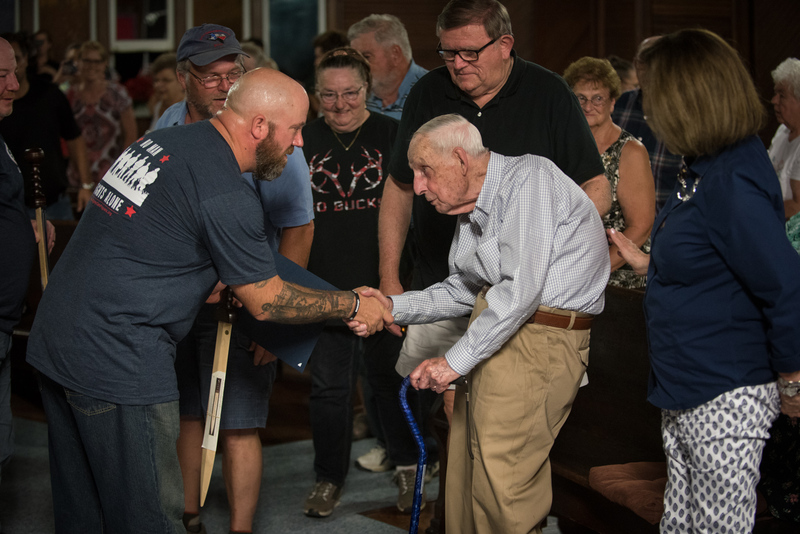 “To be so recognized by their peers and colleagues and be inducted in the Ohio Oil & Gas Hall of Fame is the zenith for these folks who have dedicated their lives and reputation to this industry. 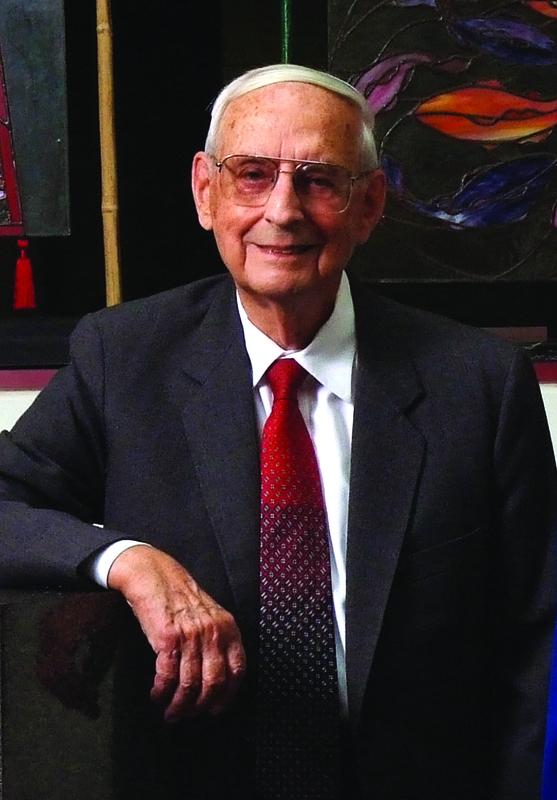 All of the inductees have joined the ranks of the true independents who have forged success in this uniquely American industry and earned the admiration and respect of all those who surround them,” said Tom Stewart, former head of the Ohio Oil & Gas Association and Hall of Fame member. The Hall of Fame was established in 1987 and since then 137 honored veterans of the oil and gas industry have been inducted into the hall. The induction ceremony has been held once every four years since 1994. Honorees have come from many different levels and segments of the industry. The concept of the OOGA Hall of Fame came as an idea from OOGA President Gene Brasel in 9187 as a way of honoring the industry’s veterans. 2018 Inductees include: Jeffery J.A. Baker, Joseph W. Haas, Eugene Huck, Jerry James, William G. Kinney, Mark S. Lytle, Robert G. McVicker Jr., Jack K. Miller, Robert Moss, Daniel Pottmeyer, John B. Walker, Howard J. Wenger. To view a full list of OOGA Hall of Fame Members click here.